James Delaney - Portrait and Wedding photography by one of Irelands most sought after photographers. James Delaney - Portrait and Wedding photography by one of Irelands most sought after photographers. Internationally award winning work to suit your requirements. James Delaney is unquestionably one of wedding photography ireland Europe's finest free-thinking, creative portraiture specialists. His unique and portrait photography ireland distinctive style of photography makes him one of Ireland's most sought after portrait and wedding photographers. James has been awarded portrait photography ireland some of the highest accolades bestowed upon a james delaney wedding photography member of his profession today, most notably the coveted Kodak European Gold Portrait Photographer wedding photography ireland of the year 1993. 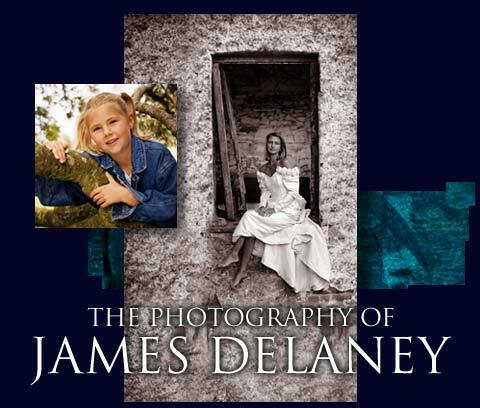 It was "Déja Vu" for James portrait photography ireland who also picked up Irish Portriture's supreme wedding photographs ireland accolade in 1990, thus achieving an Irish first! Capturing the essence of relationships is wedding pictures ireland the primary goal of award winning photographer studio photography ireland James Delaney. Nationally recoginised as a master image maker, he professional wedding photographer has earned the reputation of being one of the finest wedding photographers in the country. With many of his clients involving themselves in the wedding photographs ireland creative process, wedding photographs ireland realizing creativity is portrait photos ireland not spontaneous but planned enables him to fulfill their expectations for a unique set of images of their special day. James's thoughtful interpretation and technical wedding photography ireland finesse allow james delaney wedding photography him to creatively engage an unusually broad range of subjects, thus establishing his enviable reputation for quality and style in portrait photography. If you would like to book a session, please organize it well in professional wedding photographer advance. Weekends portrait photos ireland and school holidays get booked up weeks or even wedding pictures ireland months ahead for obvious reasons. If you are willing to portrait photos ireland allow your children some time off school, james delaney wedding photography he can usually do a session at shorter notice. Three images created by James have been accepted in the General Collection of the 110th International Exposition professional wedding photographer of Professional wedding pictures ireland Photography. James's studio photography ireland work will be on display at the Donald E. Stephens Convention Center, Rosemont, Illinois, USA August 3 - 8 in conjunction with Professional Photographers of studio photography ireland America's international convention, Imaging USA.